I have a few things I want to share about December. We had our Denton Christmas Party at the beginning of the month. 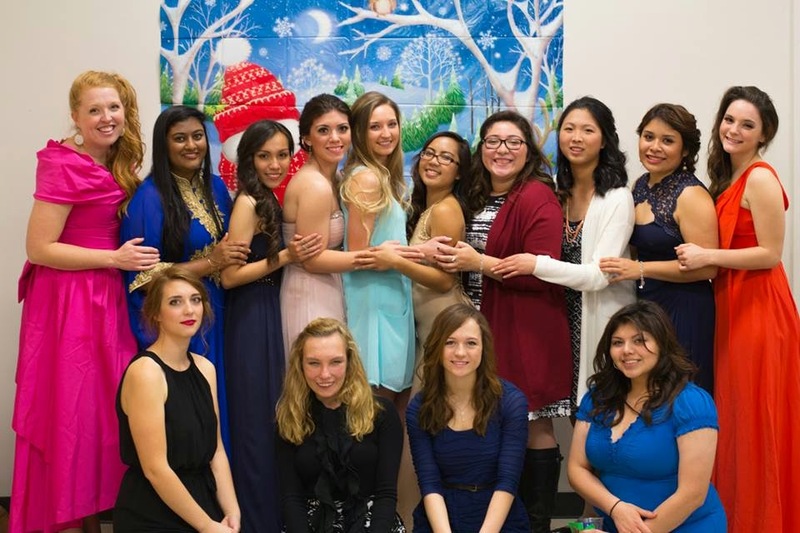 The theme was classy, and the TWU girls all got ready together. It was so much fun. At the beginning of the year I really prayed for community on the TWU campus, and it has been so cool seeing God answer that prayer. While we were shopping together for makeup and stuff for the party, one of our core girls, who is really quiet and reserved, had no makeup and had never used it before. One of the other core girls decided to pay for some makeup for her, so she could have some and not feel weird about getting ready with us. I had no idea this even happened until checkout! One core girl saw anothers need and filled it. Then we went back to the dorm room to get ready all the girls helped with putting on her makeup and doing her hair. It was so cool to see the girls had actually formed friendships and were taking care of each other. The party was so much fun too. We had food and did a devotional, then at the end we had a no talent-talent show. I think everyone really enjoyed the party! Another thing I want to share is our last core. We read an excerpt from "College Ministry in a Post Christian Culture," then we discussed what it would look like for us as a core to be disciple makers. Before I can continue I have to describe to you one of our girls. She wasn't really Christian before she came into this year, but she's been studying the bible with Sarah King. She believes now and is thinking about getting baptized (total side note, but super cool!). Well once the conversation got started this girl shared about how her family didn't believe, and it was really hard to see the destruction in their lives because of it. It was really encouraging to see her get that and explain why people needed God. I mean a few months earlier she didn't even know if she bought into all this, but now she could articulate why people needed God and was thinking of ways she needed to change that could help get people to him. God is so present on this campus, and I'm so lucky to get to be a part of it! Sarah, why are you the only one not smiling in that picture?? It looks like everyone else is having fun though! It is great to hear about the relationships that are forming in your Core there. You are a good example to those girls by teaching them to look out for each other’s needs. Sometimes those needs can be as small as help applying eyeshadow, but I bet that young woman felt so blessed to have someone care enough to help her.